This mani features three relatively new-to-me polishes: OPI My Very First Knockwurst, Pop Beauty Punk'd, and Sally Hansen Quick Jeanius. I've hosted three large nail art collaborations on Instagram now: two rainbow collabs and a Thanksgiving collab. Now I'm at four. Heather and I teamed up again to co-host a New Years collab! This was my contribution to the collab. I actually ended up doing two manis because I needed to fill one more spot in the collage last-minute. For my first mani, I was inspired by Maren and Nails. She did a French tip and covered the whole nail in a clear-based glitter. 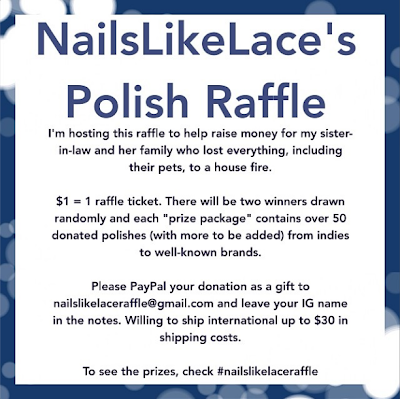 I loved it so much and did the same with a silver French of Nina Ultra Pro Shooting Star, and covered everything in China Glaze Your Present Required. This is a mani I wore forever ago (well it was this past summer, which seems like a century ago. I miss the warmth!!) but never got around to posting. But I figure now is a fairly good time to share it, to brighten up the nasty winter! This is Color Club Volt of Light topped with Lush Lacquer (they've recently changed their name to Polish Me Silly) Lite Bright. 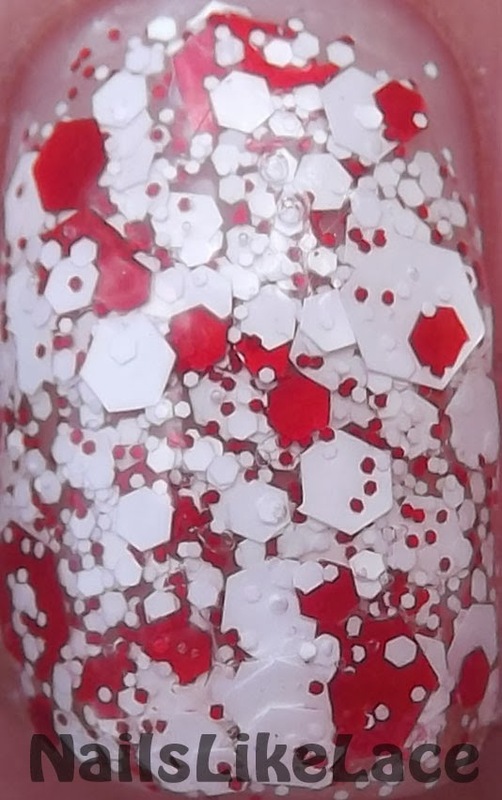 I did fish scale nails in March (see that post here) using loose glitters to fill in some of the scales. This time, I just filled in one scale on each nail with silver glitter. For today's Something Old, I have two of the oldest polishes in my collection to show: Pure ICE French Kiss and Pure ICE Strapless (the glitter). I used two coats for my middle two nails, and one of each for the others. Not too long ago, my fellow Twinsies and I participated in a Twinsie Tuesday where each Twinsie gave mani orders to another. When Heather gave Elizabeth the assignment of creating a water marble tree, I remembered that I had a Triplet Nail collab coming up with a Christmas tree theme, and that I'd been wanting to do the water marble tree for ages and had forgotten about it. So for my contribution to the collab, I was inspired to do a water marble tree! With a few plain and a few water marbled presents underneath. I got a brush holder (JR1167) from KKCenterHk to share with you today! I haven't done a ton of holiday-themed manicures this year, but I did get a wild hair yesterday to create some dotted trees. My "something blue" for today is five thin coats of Sally Hansen Royal Icing. For the final installment of this series, I have one last polish: Essie Power Clutch. We're almost through the uglies in my stash! The first of today's poo polishes is Zoya Dree. I took today's Twinsie Tuesday theme literal, I have a polish borrowed from Heather! This is two easy coats of China Glaze There's Snow One Like You.